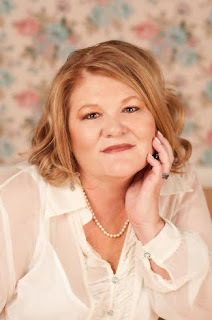 Chick Lit Central: #SRC2015: Leanna Lehman has our vote! Exciting news! BookSparks just announced that Leanna Lehman, author of Vote for Remi, is the surprise guest for #SRC2015! 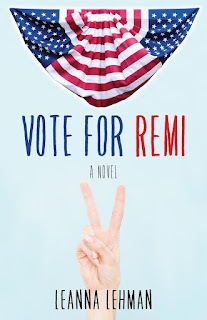 Sign up to participate in her tour and you could get a free copy of Vote for Remi to review. There's also a wonderful interview with Leanna over at the BookSparks blog. Leanna is here today to tell us her inspiration for Vote for Remi and how the book came together. Visit Leanna at her website, Facebook, and Twitter. Everywhere I go, I run into people curious about what inspired me to write Vote for Remi, my debut novel, schedule for released this spring. People are genuinely intrigued by the idea of Remi, a modest high school teacher who lands on the ballot for President, compliments of her classroom of underachieving misfit students. If that isn’t unlikely enough, Remi’s campaign is powered almost entirely by social media. The idea for Vote for Remi was a culmination of three vastly different, but converging events: the rapidly degenerating political climate, my work with at-risk teenagers at an alternative high school, and the ever-increasing power of social media. All of which, created fertile ground for Remi’s story to take root. The first few pages reveal the spark point for the story, as well as the inspiration behind it. In the first chapter, Remi recounts an interaction she had with a journalist. That interaction, while seemingly innocuous, was based my own brief interview with a local columnist regarding the negative political ads that were dominating the airwaves leading up to the presidential election. After our short discourse, I carried on a furious inner dialog that lasted for hours–days even. So enraged at the dishonorable and cutthroat practices that politicians were using, I vowed not to vote for a candidate that participated in negative campaigning. I was ready to vote for anyone that was not a politician and didn’t use cheap tabloid tactics to further contaminate the democratic process. Shortly thereafter, I began working with at-risk teenagers. One day I found myself in the classroom of a particularly gifted teacher. Like most days, she was striving to impart the standards set forth by the state in the area of American Government. Using digital white board technology, the Internet, and highly unorthodox teaching methods, she was able to actively engage with this is nearly unreachable group of kids. This particular teacher was working on her graduate degree in Political Science, raising three children alone, and teaching the toughest kids in the community. She was a force to be reckoned with. There I was, in an average moment, on an average day, struck with the thought that I would rather see her in the White House than anyone who was currently vying for that position or presently inhabiting it. At the time, the concept for the book was in its infancy and still forming in my mind. I watched students come to our school and undergo a gradual, yet radical transformation. Not only did the kids respond to this unconventional teacher and others like her, they began to thrive. We were able to replace the rejection from both peers and teachers that they had experienced in a traditional high school setting with compassion and acceptance. We celebrated their diversity, helping them to discovered common ground. There were no more misfits or outcast, only parts of whole that stood together, learned together, and grew together. As a school, we also heartily embraced technology allowing the kids to take it as far as they could. The results were astounding. They flourished in everything from art to computer technology, but mostly within themselves. Many of our students were the first in their families to graduate high school. Between my loathing of the current political climate and witnessing these students voraciously embraced the Internet and social media under the tutelage of wildly unconventional teachers, precepts for Vote for Remi clicked into place. Writing this book has been one of the most challenging and rewarding experiences of my life. It was not my intent to write an overtly political novel, rather allow my readers to explore the possibilities of change in America while reading a story about a teacher and her students as they take an amazing journey together. 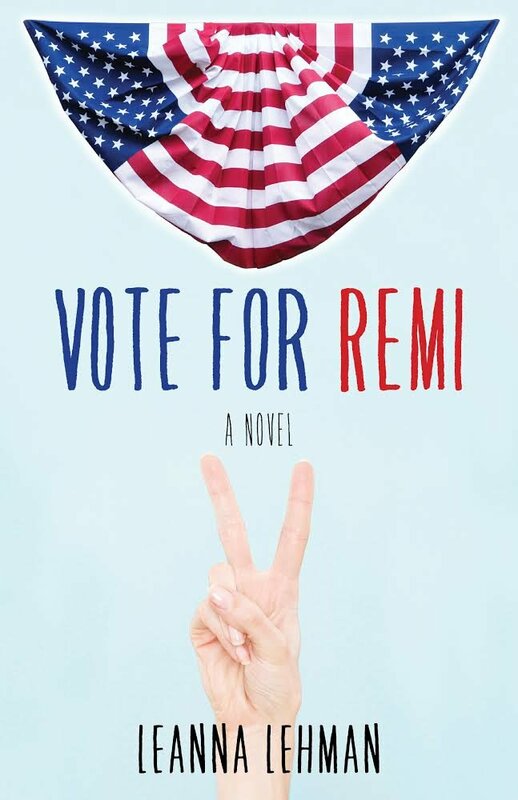 Having gotten into more than a few scrapes taking up for the underdog in my lifetime, I recently realized that Vote for Remi is a literary expression of that part of me. Remi and her kids represent the dark horses, the outliers, and the long-shots. If I have learned anything from writing Vote for Remi, it’s that sometimes you just have to take a chance on the impossible. Thanks to Leanna for visiting with us today! I love this: "The outliers..the long shots..." What inspiration for anyone teetering on the edge with self doubt. Thanks.